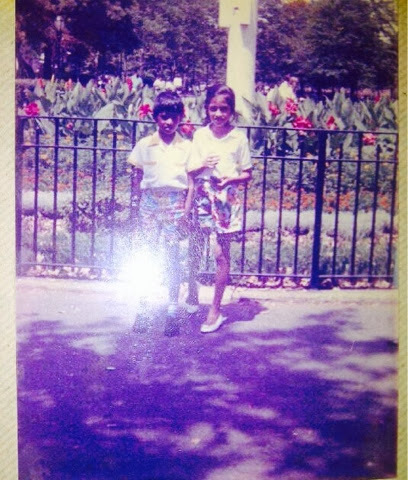 This was taken when I was 11 and went to Disney. Note the lovely ensemble- flowered shorts with large white shoes anyone? Hey, I think even my bro was wearing flowered shorts!! Also pay attention to the long, extra scrawny limbs we possessed. 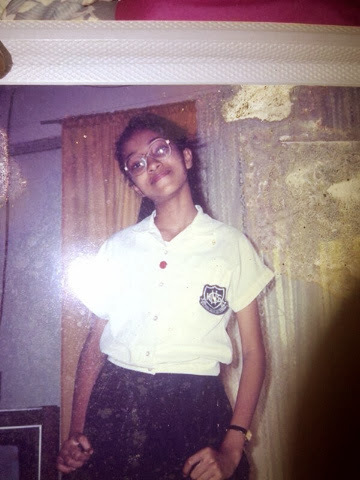 This one was taken in high school in my school uniform in Trinidad. See the big golden framed glasses and extra skinny arms once more. I was some sort of awkward folks! Too funny, then I would do anything to gain weight--- and now... well that's another post. I would tell the adolescent me to eat some more Cheetos!